Home > Products > Ya Ya Creations Crystal Bead Rim Glass Charger Plate 13"
This item will be back in stock May 15th. Order now to reserve. A beautiful serving piece for your dinner table, the Ya Ya Creations Crystal Bead Rim Glass Charger Plate 13" is perfect for wedding receptions, engagement dinners, and other formal affairs. 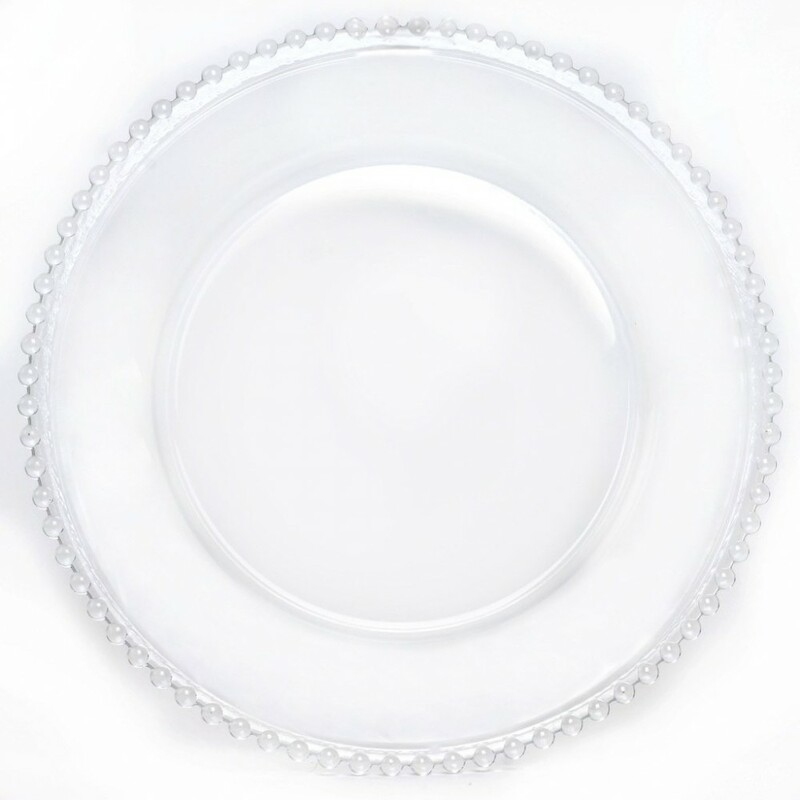 Boasting a delicate-looking bead rim with a crystal clear surface, this charger perfectly frames individual dinner plates at each place setting. Thanks to its premium quality glass construction, this high quality piece provides unbeatable durability and longevity. Perfect for multi-course meals, this charger is large enough to accommodate standard size plates and provide protection against spills and mess.